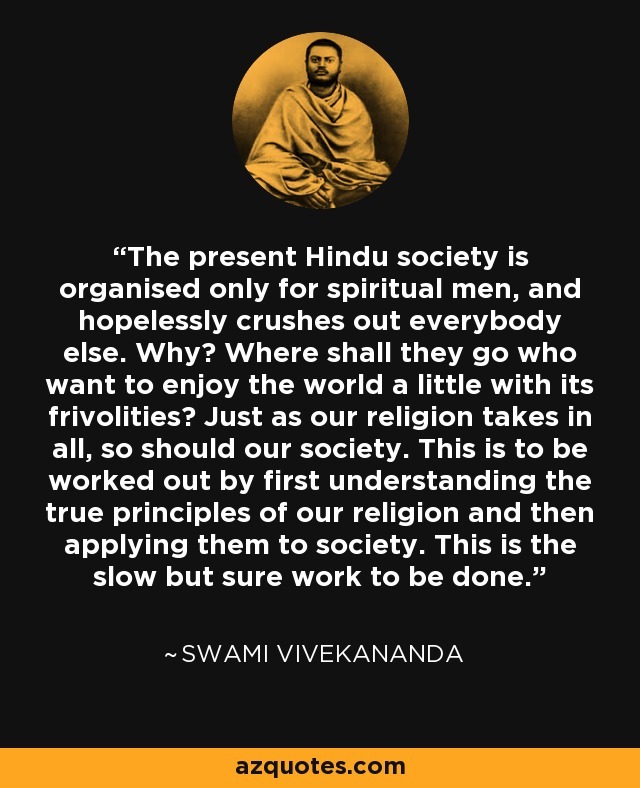 The present Hindu society is organised only for spiritual men, and hopelessly crushes out everybody else. Why? Where shall they go who want to enjoy the world a little with its frivolities? Just as our religion takes in all, so should our society. This is to be worked out by first understanding the true principles of our religion and then applying them to society. This is the slow but sure work to be done.